Erik-Palmer Brown is set for a major move abroad after signing a pre-contract with Manchester City. Erik Palmer-Brown, the USA U-20 captain and Sporting Kansas City center back, has indeed signed a pre-contract deal with Manchester City, and SI.com has learned more details on the agreement. The deal, which was first reported by Metro, is for a four-and-a-half year contract starting in January. A source with knowledge of the situation says that Palmer-Brown, 20, was shown a plan by Manchester City on his path to the first team, but since he can’t get a UK work permit, the club will start by loaning out Palmer-Brown to a club likely in the Netherlands, Germany or Belgium. Palmer-Brown turned down a new contract offer from SKC, but his Man City deal will pay him on a level among the top defenders in MLS. He also had interest from PSV, Porto, Juventus and Borussia Dortmund. The most likely loan destination at this point is PSV. Palmer-Brown’s agent, Mike Gartlan, had no comment. It won't be Palmer-Brown's first stint abroad, as he spent last year on loan with Porto. He was also the subject of a $1 million bid from Juventus in 2014. The U.S. has yet to qualify for World Cup 2018 in Russia, but if that happens, sources say that U.S. Soccer has reached an agreement for the team to be based in the city of St. Petersburg throughout the tournament. For anyone who thinks U.S Soccer is getting ahead of itself, that’s not the case here. With heated competition among national teams for prime training sites, it would be foolish not to make arrangements as early as possible. As long as the U.S. gets into the tournament, it will have five-star training facilities and accommodations in St. Petersburg. 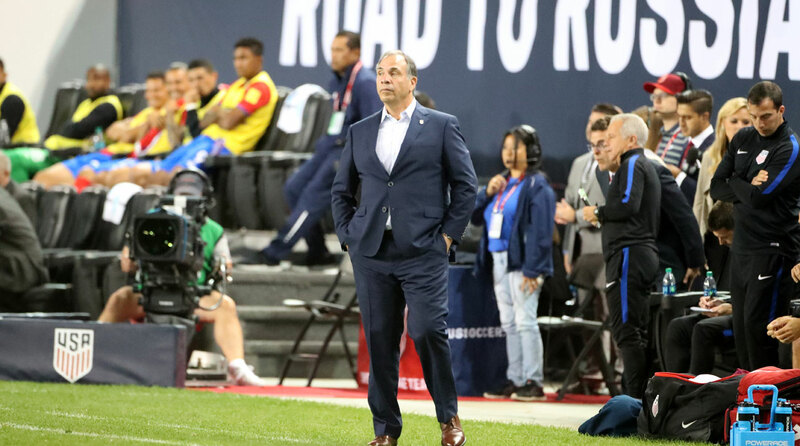 The USA wraps its qualifying quest with two massive games next month–against Panama in Orlando, Florida, on Oct. 6 before concluding at Trinidad and Tobago on Oct. 10.